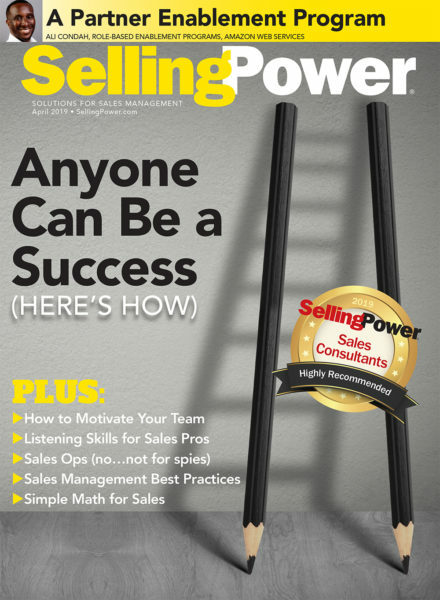 Salespeople who think major-account selling means beating out the competition make a fundamental error in judgement. Understanding the decision tree within an organization is the key. Major-account selling need not be a mysterious maze. Salespeople who aim for the big profits of major accounts need only follow a simple, six step guide that breaks down the complexity of selling to major accounts. ONE: Understand the organization and find the key players. To develop a clear vision about the company and its key players, keep two sets of files: one to keep track of the general account information — Dun and Bradstreet reports, annual company reports, product literature and organization charts — and a second file about the key players involved in the sale. For example, in an engineering sale it is not enough to contact the design engineers and project managers. No matter how supportive these managers are, salespeople often find out too late that the head of quality assurance or procurement has veto power and may swing the sale into the hands of a competitor. On every sales call, make a special effort to broaden your knowledge of the people in the organization. Carefully probe into the hidden connections between staff and line, engineering and purchasing, manufacturing and top management. 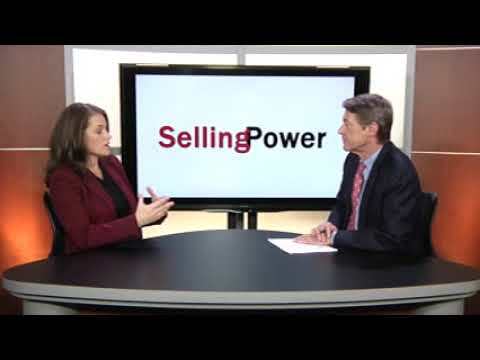 How can salespeople find their way through a large, multi-layered organization? Ask questions. Anyone who has knowledge about the company is fair game — sales management, purchasing, distributors, suppliers or any company executive. Sometimes a visit to the local library can be very productive. Look up industry directories, search for articles about the company, look up key executives in Who’s Who, find organizational relationships in the Directory of Corporate Affiliations, etc. Don’t forget to check your own files on your major account. TWO: Recognize individual decision styles. It may take several interviews before you recognize the true style of a key player. The composite picture of each decision style will fall into one of five distinct personality types: the avoider, the affiliator, the power-boss, the achiever or the manipulator. Because, in a long term sale, there are a number of people in your own company who will have meetings with the client, it is important to assess the possible consequences of introducing your own company executives to key client decision makers. THREE: Rank the importance of each decision maker. People don’t go around with signs etched on their foreheads that say, “I am a powerful decision maker” or “Everyone depends on my judgement.” In every major sale, there is a core group of three or four decision makers who hold the key to your sale. These people are the most important and the most powerful to your sale. TITLE POWER In some organizations, the decision making process is relegated to a low level of power where, for example, a regional manager has the authority to purchase a $100,000 computer network system. The same decision in another company is made at the Senior VP level at headquarters. EXPERT POWER The purchase of a new and complex industrial machine may involve the services of an outside consultant who provides company management with special recommendations and requirements. PERSONAL POWER The personal charisma, flair or personality dynamics of any executive can often alter the outcome of a group decision. POLITICAL POWER All decisions are political decisions. Past power conflicts can make or break a decision. It can be advantageous to know that the chief financial officer has been reluctant to support the manufacturing manager’s decision to modernize the plant too quickly. To clearly visualize the importance of each decision maker, rank key players’ power on a scale from one to ten, ten being the highest rank. For example, the VP of Manufacturing may rank # 7 in title power, # 5 in expert power, # 4 in personal power and # 9 in political power. FOUR: Decision maker, influencer or facilitator? a) Decision maker (DM) is anyone in a position with the authority to make a final decision. Decision makers have the power base to produce the purchase order. b) Decision influencer (DI) is someone who has the expertise or the judgement to influence the right decision. c) Decision facilitator (DF) is anyone who will take part in the decision process. However, these people may not drive or support the final decision one way or another. Frequently these are your contacts who pass on ideas to the decision makers or decision influencers. FIVE: How the key contacts impact your sales presentation. Every key contact needs to be sold differently. You must sell different advantages to different people. For example, to field maintenance you might sell worldwide service capability; to the head of support network, portability; to technical experts, performance and future applications; and to the chief financial officer, long-term cost of ownership. a) Management presentation — Sell the advantages of your product or service to their company’s way of doing business. Explain how your solution will lead to better customer service, happier employees, higher productivity and faster company growth. b) Financial presentation — Sell the advantages of your solution to cash flow, company assets, depreciation, resale value etc. c) Technical presentation — Sell the advantages of your design, technology and application versatility. d) User presentation — Sell the advantages of your product to the designer, machine operator, service or maintenance engineer. The dynamics of the decision making process in a major sale are often challenging. Suppose you are dealing with a major account like a General Motors Division where your new product could be used in several departments. Let’s assume that the primary user is the Buick design department. You know that the engineering department also could use the same system, but they lean towards a different vendor. What should you do if you find out that, although the head of the design department has the power to make the decision, the head of the engineering department could use his political power to block your sale? You have several options: sell the head of engineering on the benefits of your product, or find someone in the engineering department who has influence power with the boss, or go up to the next level and sell the advantages of your solution to the group vice president. If you try to compete on technical merits alone, or on an “all else equal” basis, you may lose the sale. However, if you initiate a new decision making process by isolating the key players, recognizing their decision styles, ranking the importance of each key player, separating decision makers from influencers and facilitators, presenting your case to each group individually and using your understanding of who influences whom within the organization, you can come out a major account winner. In each case, understanding the decision hierarchy is essential for developing your best selling strategy. Like an offensive coordinator of a football team, the major account rep is in charge of building a strategy around the existing resources of a team. He or she can only develop a game plan by having good information on the defensive capabilities of the opposing team. The offensive coordinator has the power, yet is not the boss. During the game, he or she will build a strategy and adjust the tactics against the moves made by the opposing team. Likewise, the major account rep directs the strategic and tactical efforts and — without being the boss — becomes the ultimate ingredient in influencing the decision.